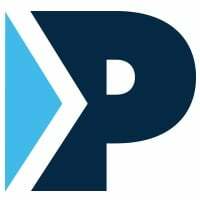 New York - September 27, 2018 - PebblePost, the creator of Programmatic Direct Mail®, today announced it has appointed Frank Barbieri as chief development officer. In this role Barbieri will be responsible for corporate development, business development and oversee marketing as the company delivers on the promise of Programmatic Direct Mail® — to convert shoppers into buyers with meaningful mail. In addition, Melissa Tanzosh comes on board as senior director of product management, where she will be responsible for scaling the product team and managing the expansion of PebblePost’s platform capabilities. Barbieri brings a 25 year career in digital leadership roles at both private and public companies, in corporate development, strategic planning, business development, product management, marketing and as a Founder and CEO. Most recently, he served as chief strategy officer at YuMe where he oversaw corporate development and marketing, taking the company public in August 2013, and closing a $150 million public-to-public merger with RhythmOne in March 2018. Previously, he was founder and chief product officer at Transpera, a mobile video ad platform which was sold to Tremor Video, as well as group product manager at Microsoft, where he headed product, planning, business development, marketing and retail teams responsible for the global roll out of mobile entertainment products and software. Tanzosh brings nearly a decade of experience in digital media roles. Prior to joining PebblePost, she was vice president advertising product innovation at Kargo, where she played a crucial role defining and driving the strategic direction of the company’s advertising product offerings and product development based on data-driven insights, business needs, and industry trends. PebblePost invented Programmatic Direct Mail® to convert shoppers into buyers with meaningful mail. We use real-time online interest and intent data to send meaningful mail that influences at-home purchase decisions and drives conversions across all purchase channels. Our patent pending digital-to-direct mail platform integrates segmentation, campaign management, advanced targeting, production, analytics and optimization. PebblePost® is a venture-backed company based in NYC and San Francisco.